Ronald went to visit the Sourcebooks office! I admit it. When Ronald (the garden gnome from A Lady and Her Magic) said that he needed a vacation between books, I was a little skeptical. Ronald has been alive for more than two hundred years, and he’s seen a lot and done even more. He also has a penchant for getting in trouble. 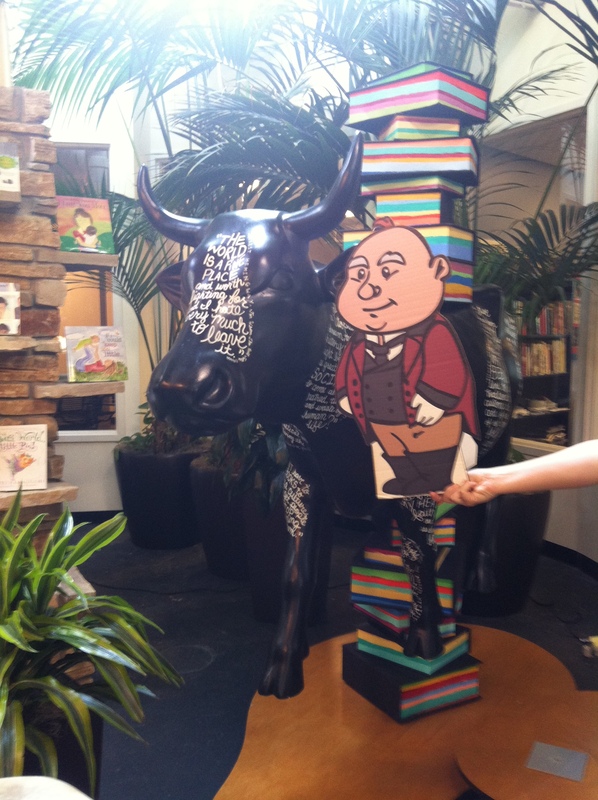 Last week, he actually got to go to Sourcebooks and he had his picture taken with the cow in the lobby. Funny story about that cow — the owner of Sourcebooks, Dominique Raccah, outbid Oprah Winfrey at an action to get that cow. I’ve seen it! It’s a pretty awesome cow! Ronald is pretty busy, but he’s still adding stops to his itinerary. If you’d like to host Ronald and have him visit your workplace, famous attractions in your city, or just meet your family, please drop me a note and let me know! Great review from Long and Short Reviews! The author placed Sophia in the human world with her grandmother, a maid, and a garden gnome who follows her around. Ms. Falkner gave her a difficult assignment: it’s hard to complete her mission without falling in love with the Duke. The supporting characters often express frustration with her, especially Ronald, the garden gnome. Three of the main supporting cast include the Duke’s brother who goes out of his way to have words with Sophia, their mother and a decidedly wicked grandmother. I spent time laughing about what Grandma brought up at parties; she cared not who was listening. While all this going on, the author takes me back to the world of Fae and where the grandfather is plotting. I knew something was going on, but I wasn’t sure how it would all turn out. 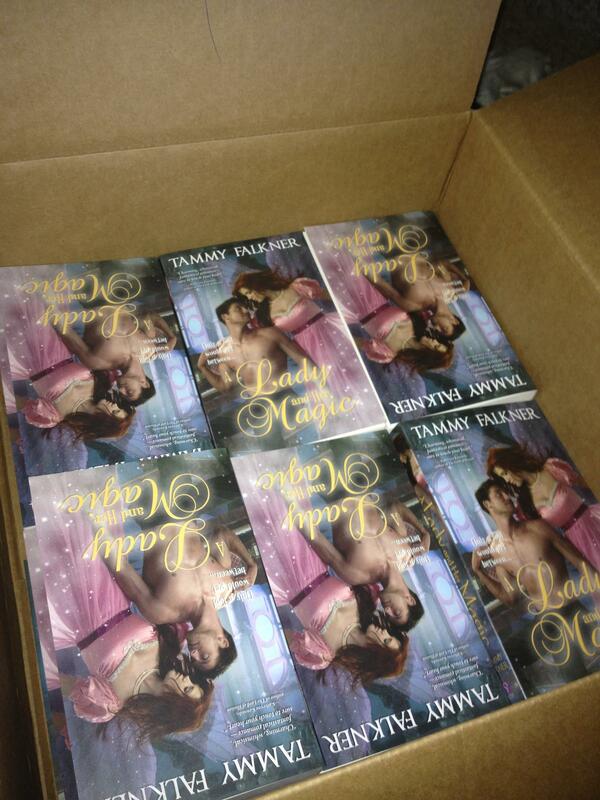 Since I got this awesome box full of books today, I decided to… GIVE SOME AWAY! Don’t worry, if you already liked my Facebook page, you’re already entered to win. So, tell your friends, family and feel free to tell complete strangers you meet on the street so they can enter to win, too!